Climbing tours run all year round. The usual size of the group is 1-6, but please consult us if you are more. For groups larger than 3 people, each additional person is 25 euros. 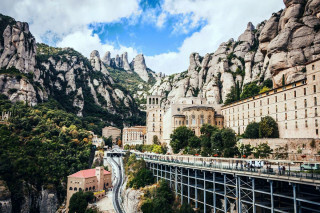 We can transport you by car from your hotel, go together with you by train (this is our recommended option because of Barcelona's unpredictable traffic) or meet you directly in Montserrat at the Village of El Bruc. Equipment rental doesn’t include shoes. We can always rent them at a local climbing shop before going (6 euros per day). Food and water are not included in the price. Please bring your own or let us know and we can stop at a shop on the way. If you cancel 2 or more days before the activity, you will receive a full refund of the paid amount. There is no refund for late cancellations. In rare cases, we may need to cancel or postpone the activity due to bad weather. In such a case we will agree on a different date or give you a full refund. 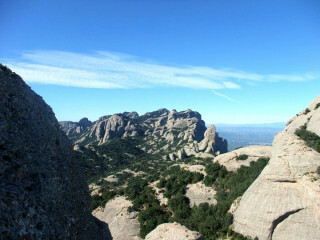 The drama of the massif of Montserrat makes it one of the world’s top ten climbing destinations. 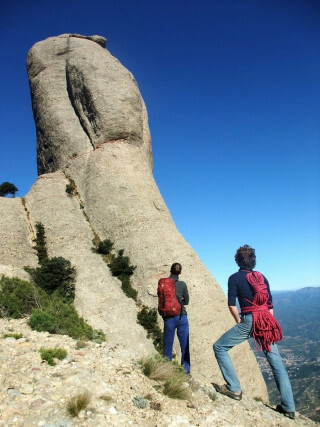 Located in the largest climbing area in Spain, rocky terrain holds 5,000+ routes of all styles on rare conglomerate rock. To get to this coveted site, we meet either at a train station in Barcelona or we pick you up at your hotel for a 45-minute drive in the morning. 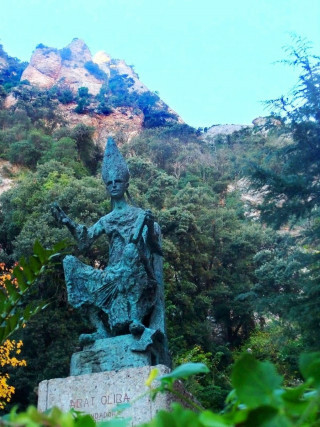 If you’re keen on history, we start by visiting Montserrat’s Benedictine Monastery, dating back to the 11th century. 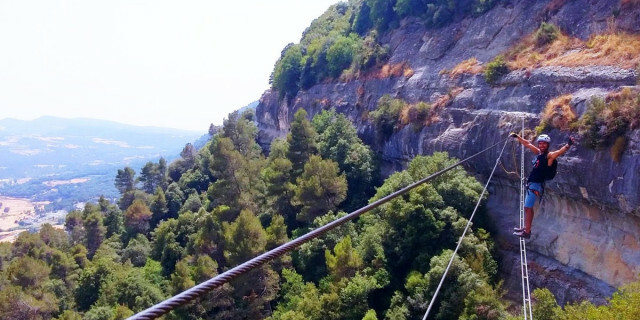 We then take the glass-roofed funicular or walk to the chosen climbing sites. 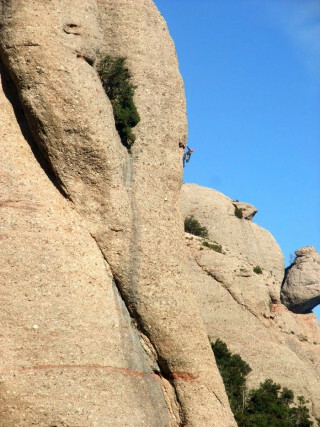 Surrounded by a labyrinth of rock needles, we discover the best climbing hotspots according to your level and desires. 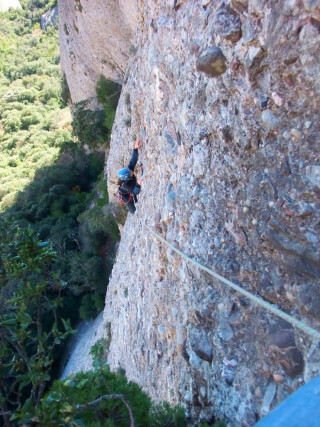 From single-pitch sports climbing to atmospheric big-wall adventures to traditional climbing, Montserrat has it all for both experts and beginners. Climb the finest conglomerate rock out there and enjoy superb technical moves on fantastic edges and intricate pockets, slabs, and cracks. 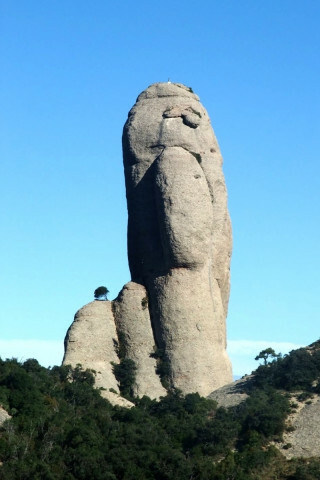 You also see the world-renowned big-walls of Montserrat like the Devil’s Wall, the iconic needle of Caball Bernat, or a cave home to inhabitants 1,000 years ago. 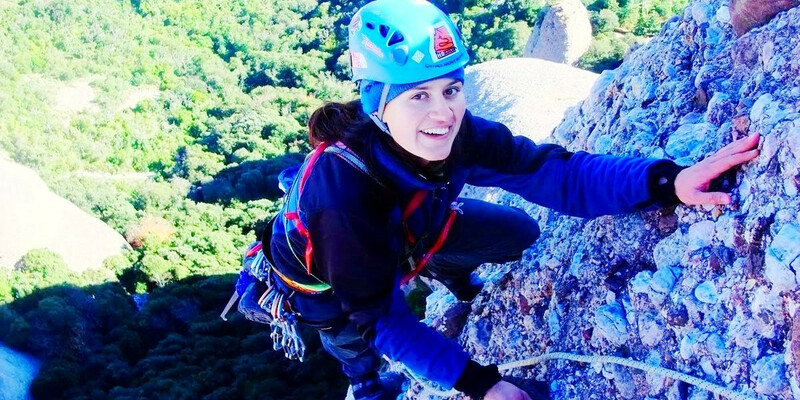 The entire time you are with a UIAGM certified local mountain guide and rock climbing instructor, who brings all the equipment for your climbs. 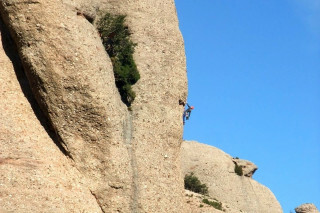 The Montserrat area is accessible year-round. On hot days, we stay more in the shade; while in the winter, we enjoy the shining sun. 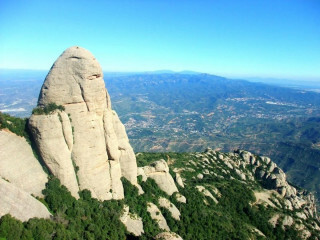 We are also happy to arrange a hike for non-climbers in your group, who also wish to adventure in magnificent Montserrat. What time do we finish the day? When you've had enough of climbing! If you feel like it, we stay after sunset. 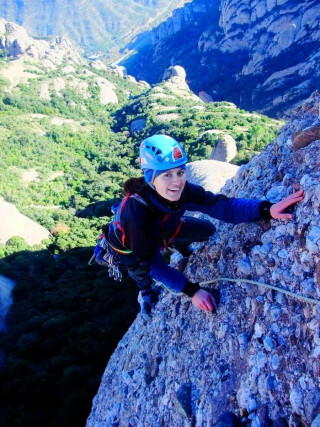 We love climbing just as much as you do, and Montserrat is simply a place you won’t want to leave.